This series of fantasy adventure books written for 7-13 year olds explores the belief that dragons are real, still alive and hiding in dragon shaped objects. The idea for the books grew out of an observation Debi made whilst on holiday in Devon in 2002 which sparked an idea. Five books in the series were co-written and illustrated by John MacPherson between 2006 and 2010, about dragons found all over the world but primarily in Wiltshire, London, India, New York, Scotland, Dubai and China. 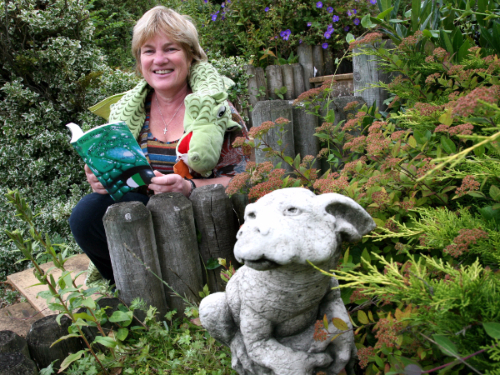 The more Debi travelled and visited international schools to promote the books, the more she realised that dragons were held in universal fascination. The discovery of a hoard of Dragonore added to the excitement of finding hidden dragons. Dragons have stealthily crept into The Secret Adventures of Rolo books!